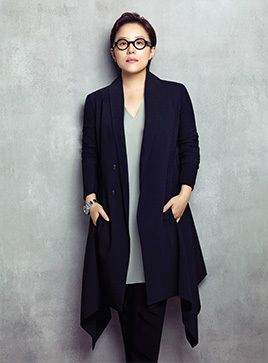 Make up artist Saemmool Jung, who has been working with top stars such as Tae Hee Kim, Yuna Kim, Tang Wei, Ji Woo Choi, Yong Joon Bae, Seung Hun Song, Sang woo Kwon, BOA, Mi Yeon Lee, Joo Mi Park just opened make up academy in June. Jung is the 1st generation make up artist who created 'transparent make up' and has been settled as the best role model to students that are want to be a make up artist. She is also known as a leading trendsetter, consultant of famous cosmetic brands, and top casting star for beauty programs. daring color choices, and detailed base expression. Jung started to work as a professional make up artist in 1991, and academy organized systematic and intensive curriculums based on her 24years of hands-on experiences in the field and know how techniques. Jungsaemmool Academy was established in 2005, and it has been educated many professional make up artists who are involved in beauty, movie, drama, advertisement, magazine, and styling fields based on KEY7 rules. The academy has 6 months and 3 months professional training courses and this year, it changed its name to Jungsaemmool Art & Academy. Jungsaemmool Art & Academy is seeking for the competitive power as a global make up institution founded on Saemmool Jung's know how and passionate interest of K-beauty. Jungsaemmool Art & Academy aims for educating the worldwide artists with trends and artistry. Saemmool Jung's original make-up skills and advanced international curriculum will provide various make-up techniques and theories for professional artists. Regular courses are composed of 6 months Professional and 3 months Master courses and students can learn about KEY7, natural make up, make up of the times, wedding make up, art works, and etc from Saemmool Jung and her artist group. Especially in 2014, the academy established Color & Design class that is combination of fine art and make-up skill to help students to develop diverse color senses, an eye for beauty, and design ability. Jungsaemmool Art & Academy provides a small number of students per class and each class has a homeroom teacher who manages and evaluates the students. The academy holds a monthly assessment and after assessment, students will have 1:1 supplementary lessons from professional instructors based on their evaluation. The academy is now open for registration and the first opening will be closed on May 30th. Application process and telephone counseling, and interview will be operated at Jungsaemmool Inspiration Chung-dam campus.